Home cleaning remains to be a crucial chore which ought to be performed as perfectly as possible. Every section of a home has to be cleaned as often as possible. This is for the sole purpose of keeping dirt at bay hence ensure proper home hygiene is observed on a steady basis. So what are the most important home cleaning tips to bear in mind on each cleaning occasion? The tips vary based on one’s cleaning preferences but generally home cleaning should majorly focus on the living room, the sleeping rooms, the kitchen/dining room and the toilets/bathrooms should always be cleaned when doing home cleaning. In the next section of the article, we will explore the home cleaning tips that should be observed during cleaning. The floor in each room in a home ought to be cleaned from time to time. Below are floor cleaning tips to consider. 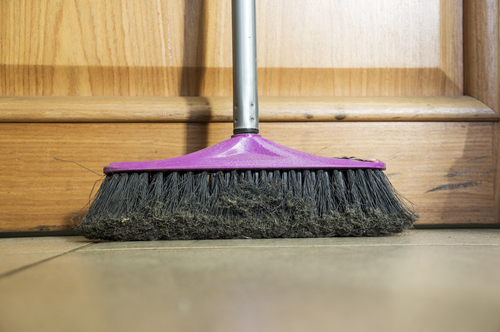 · Sweeping should precede mopping in order to collect any existing dirt. · Mopping must be done even on the hard to access corners of a home. · A piece of rug should be tied to a mop to reach inaccessible corners of a home. 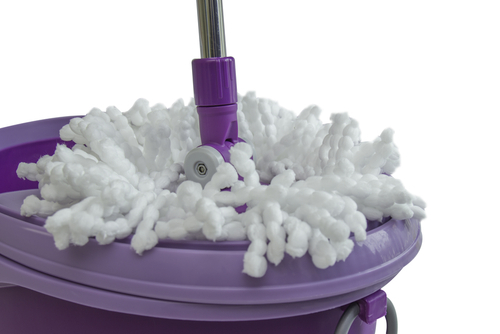 · Mats, carpets and rugs in all rooms should be vacuumed and cleaned as well. A ceiling fan can led to a dusty mess if not handled well when cleaning it. To achieve dust free cleaning when it comes to a ceiling fan make use of an old pillowcase. Each blade of ceiling fan should be cleaned independently while ensuring all the dirt ingrained on the blades is captured by the pillowcase. A bathroom is a hub of activities in every home because it is where most of our personal grooming takes place. A bathroom has high chances of exposure to dirt in form of soap scum, shower-heads that have lime scale, soap debris on soap holders, water spots on tiles and so on. A toilet bowl can become stained too. All these forms of dirt require regular cleaning of the bathrooms and toilets. For instance scummy surfaces especially bathroom doors arise due to the buildup of soap residue after one takes a shower. As much as scrubbing is one of the methods used to remove soap residue on bathroom doors, using a used dryer sheet can work wonders. The dryer sheet only requires a little amount of water to make it wet. Once wet the dryer sheet is capable of removing the soap residue that is stuck on your bathroom doors. Home garbage is more often than not likely to make your garbage disposal equipment dirty. The dirty eventually leads to bad odor which affects the environment of your home. To prevent an awful smell emanating from your garbage disposal, use ice cubes that contain vinegar then rinse with water. This way the garbage disposal is kept clean. Once in a while the drain may get clogged and fail to function normally. A good way to unclog it is by pouring baking soda plus vinegar into it. Afterwards, use a wet piece of cloth to seal the drain for several minutes. Finally, use very hot water to flush the drain. In a home where pets reside, it is impossible to miss pieces of fur on carpets and other surfaces in the living room such as on sofas. Hand picking fur in an effort to ensure the living room is clean is a time consuming task. Other than relying on your hands to get rid of fur, why not use rubber gloves. A damp rubber glove not only picks the fur but does so in a fast way as the fur easily gets attached to the glove. Windows are an important part of a home thus the need to clean them when cleaning the rest of the home. Cleaning windows is not just a matter of wiping them and assuming you have done a superb job. The style of cleaning is important as well. Windows should be cleaned by wiping the glass on one side in a horizontal manner while the other side is wiped vertically. The reason why wiping in such a way is to easily pinpoint the location of the streaks on the windows thus make it easy to polish them. Of essence when home cleaning is to have a cleaning schedule. It is difficult to perform general or deep home cleaning at once. 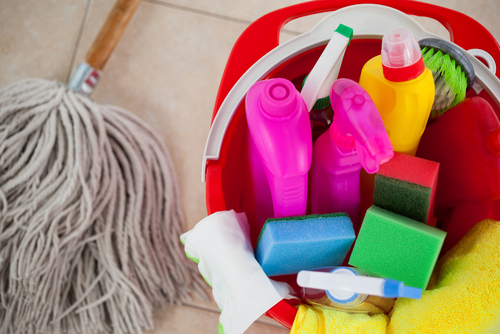 To do home cleaning in an organized manner, a cleaning schedule is necessary. A cleaning schedule ensures no part of a home is neglected when cleaning is undertaken. In the schedule, cleaning tasks for each cleaning session must be listed. For instance, when cleaning the kitchen, tasks such as cleaning the microwave, oven and the fridge should be listed. Cobwebs can invade the interior and exterior of your home. Once you notice the presence of cobwebs in your home, take care of the situation as soon as you can. A relatively wet piece of cloth tied to a mop stick will serve the purpose of removing cobwebs. In conclusion, the above discussed home cleaning tips have gained a reputation among many homeowners. The tips are simple to follow and put into action. Next time you want to engage in home cleaning, incorporate all or several of these cleaning tips for great cleaning results.